Even though Social Security benefits depend on many variables, there are a lot of questions that are asked by nearly everyone. In my practice helping people understand their Social Security benefits, there are five questions that come up regularly. You probably have these questions, too. Read on to find the answers to the five most frequently asked Social Security questions. 1) How much can I earn while on Social Security? If you begin taking Social Security benefits before you reach full retirement age, you will have a cap on how much money you can earn without impacting your Social Security benefits. There are two different limits on how much money you can earn. Which limits applies to you depends on your age. If you earn more than the limit for your age group, you may lose part or all of your Social Security benefit. Once you reach full retirement age, there is no limit on your earnings. Until January 1st of the year you attain full retirement age, you will lose some of your Social Security benefits if your earned income exceeds $15,720. After that amount, you will lose $1 in Social Security benefits for every $2 that you earn. To say it another way, your Social Security benefits will be reduced by half of the amount that you earn. On January 1st of the year you will attain full retirement age, you reach a grey area that exists until you reach full retirement age. This may be just a few days or many months, depending on when your birthday falls in the year. During this period, you may earn $41,880 before your benefits are reduced. After the $41,880 limit, your benefits will be reduced by $1 for every $3 earned. Once you reach your full retirement age, there is no limit. You may earn any amount of money without impacting your Social Security benefits. The limits on earnings while receiving Social Security benefits changes each year, so be sure that you are using this year’s numbers when you make your decisions and do your calculations. The numbers used in this article are for 2016. How does the earnings limitation actually work? Let’s take the example of Susie Security. Susie started taking her Social Security benefits as soon as she turned 62 in 2015. Full retirement age for her birth year is age 66. She is eligible for $20,000 in Social Security benefits per year. Susie Security worked during the year, and she made $25,720 in wages. This is $10,000 more than the limit for beneficiaries who are less than full retirement age. The Social Security Administration will reduce Susie’s benefit amount by $1 for every $2 over the limit. With the benefits reduction for exceeding the income limits, Susie Security’s $20,000 yearly allowed benefit is now a $15,000 benefit for the year. One of the most confusing parts is how Social Security reduces your benefits. Instead of taking out a little bit every month, they may withhold several months of benefits at a time. This may occur in advance, if you predict that you will have excess earnings in a year, or in arrears, if you report that you had excess earnings in a year. This can make it hard to budget and plan, especially if you don’t understand the process. What Kind Of Income Counts As Earnings? The income limit applies only to wages and net earnings from self-employment. Sources of income that don’t count towards the income limit include pensions, interest, annuities, IRA distributions and capital gains. What If I Retire In The Middle of The Year? Very few people retire on December 31st, and many people have earned more than the income limit before they retire. If you retire mid-year, your limit is calculated based upon the number of months that you are retired during that year, and then you roll over into the regular rules during your first full year of retirement. For mid-year retirements that occur before the year in which full retirement age is reached, the limit on earnings is calculated at $1,310 per month times the number of months from the date of retirement and the end of the year. For mid-year retirements that occur in the year in which full retirement age is reached, the limit on earnings is calculated at $3,490 per month times the number of months between the date of retirement and reaching full retirement age. As always, once you attain full retirement age, there is NO earning limit. What if my benefits are already being withheld? Are your benefits being decreased or withheld because you’ve exceeded the income limit? Don’t despair…you aren’t missing payments that you’ll never get back. The Social Security Administration will simply recalculate your benefits at your full retirement age to reflect the months that benefits were withheld. The best way to avoid the earnings limitation is to wait until full retirement age to file for benefits. If you can’t wait, make sure you have a clear understanding of how working impacts your Social Security benefits. 2) Is Social Security income taxed? There is a lot of confusion about whether Social Security benefits are considered taxable income. It’s easy to understand what causes the confusion once you understand the rules, because many Social Security beneficiaries do not owe federal incomes taxes. In short, however, a portion of your Social Security benefits may be taxable, depending on your income level. In some ways, it doesn’t seem fair. You’ve worked for years and paid your Social Security tax as the admission ticket to a Social Security benefit. Now that you’re collecting that benefit, you have to pay taxes again? At first, Social Security benefits were not taxable. That all changed with the passage of 1983 Amendments to the Social Security Act. Under this new rule, up to 50% of Social Security benefits became taxable for certain individuals. Ten years later, the Deficit Reduction Act of 1993 expanded the taxation of Social Security benefits. Under this Act, an additional bracket was added where up to 85% of Social Security benefits could be taxable above certain thresholds. The combination of these laws left us with the current tax structure on Social Security benefits. Today, somewhere between 0% and 85% of your Social Security payment will be included as taxable income. In order to determine how much of your Social Security benefits will be taxable, you first have to calculate your “provisional income. Provisional income is a measurement of income used specifically for this purpose. Provisional income can be roughly calculated as your total income from taxable sources, plus any tax exempt interest (such as interest from tax free bonds), plus any excluded foreign income, plus 50% of your Social Security benefits. 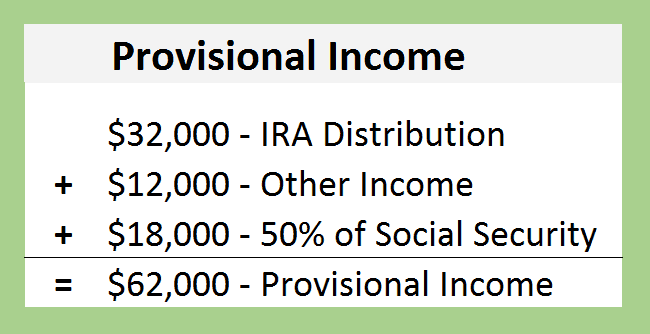 If your total “provisional income” is less than $32,000, if married, or $25,000, if single, none of your Social Security benefits will be taxable. If you are married and your total is between $32,000 and $44,000 ($25,000 and $34,000 for singles), then 50% of the amount between $32,000 and $44,000 ($25,000 and $34,000 for singles) is the amount of Social Security benefits that must be included in taxable income. If your provisional income exceeds $44,000 ($34,000 for singles), then 85% of the amount over $44,000 ($34,000 for singles) is included in income. However, the amount of Social Security income that is taxable is only part of the the overall calculation of tax liability. Other factors will include your marital status, if you have other dependents, and various deductions and credits as apply to your situation. If your only income is Social Security, then you may not have any tax liability. Those who have taxable income in addition to their Social Security benefits may have to pay federal income taxes on their overall income. Please keep in mind that these explanations are for your understanding of the system, not for advice on how to calculate your actual tax liability. If you are unsure how to complete your tax return yourself, please get help from a qualified source such as a Volunteer Income Tax Assistance (VITA) preparer, a trained income tax preparation service, tax preparation software, or an accountant. 3) How long do I need to be married to collect benefits? The marriage must have lasted 9 months to qualify for survivor benefits. However, this rule can be waived if: (a) You are the natural or adoptive parent of the deceased worker’s biological child or (b) if the death was a result of accident. The marriage must have lasted for one continuous year to qualify for spousal benefits. If you remarry prior to age 60, you lose the right to claim on an ex-spouse’s record, unless the subsequent marriage(s) end in death or divorce. 4) Where is my Social Security statement? In mid-2011, the Social Security Administration stopped mailing annual benefit statements as a cost-saving measure. It saved the government about $70 million annually in printing and postage, but the budget-cutting move proved unpopular. Congress passed a bill requiring Social Security to resume mailing the statements. Now, workers attaining ages 25, 30, 35, 40, 45, 50, 55, and 60 who are not receiving Social Security benefits and who have not registered for a My Social Security online account will receive a statement in the mail about three months before their birthday. After age 60, people will receive a statement every year. You can avoid the wait by signing up for a My Social Security account. Once you do, you’ll be able to quickly download your latest earnings history and benefits estimate. To date, more than 19 million people have set up a personalized My Social Security account..
For detail instructions on accessing your Social Security statement online, I’ve published this handy step-by-step guide. 5) Where can I find help with Social Security issues? Getting answers to your Social Security questions can be really difficult. Thankfully, he wasn’t directing his anger at me but at an almost incomprehensible set of Social Security rules. If you find the Social Security rules to be more than a little bewildering, you’re not alone. There aren’t many who find them easy to understand. For example, consider this excerpt from their rules. Huh? Trying to understand that makes my head hurt! If you try to read it for long, you see that the Social Security rule book is full of great examples of how not to write clearly. I don’t think they are trying to make it confusing on purpose. Over the last 80 years the Social Security system has evolved into something completely different from where it started. As it has changed, new rules have been written. As new rules were written, new explanations of those rules were written. Now the system boast nearly 3,000 rules and two websites with more than 108,000 pages! In addition to this enormous rule book, they have been challenged by budget cuts. According to a Senate report, the agency has shut down 64 field offices just since 2010! The end goal of these cuts? They want everyone to begin using the tools on the massive websites to conduct their business. If you look at the demographics, the timing is horrible! Baby-boomers are filing applications for retirement and disability benefits in record numbers. In 2013, more than 43 million people visited a Social Security field office. The phone service centers are overwhelmed, too. In 2011, only 3% of callers to the SSA’s 800 number received a busy signal. In 2014, it was nearly five times that number. For those fortunate enough to get through, the wait time was 17 minutes. That’s three times higher than it was in 2012! Unfortunately, finding answers to your Social Security questions is probably not going to get any easier in the future. But if you know where (and how) to look for help, your chances of getting your questions answered should be much better. The Social Security Administration may be the most obvious choice for assistance with Social Security questions, but it’s not always that easy. After several phone calls and visits, you may give up in frustration. While your experience may differ, I’ve found the Social Security technicians to be a mixed bag. Some know very little about the program but some have forgotten more than I’ll ever know. If you want to increase your chances of finding someone who knows a lot about the program, you need to understand the hierarchy within your local Social Security office. If you’ve ever been to your local office, you’ve probably seen a maze of cubicles and possibly more employees than you expected. All these people have a role and handle very specific areas of Social Security benefits. Within each Social Security office there is a hierarchy of representatives. Not all are created equal. For retirement and disability benefits, the Social Security employee will most likely have one of the following titles. If you’ve exhausted your options at the Social Security office, you may want to try to find a Social Security attorney to help you. But you may get frustrated here as well. Some attorneys can help you with your Social Security questions, but they generally don’t. Why? The attorneys that work with Social Security benefits generally help individuals with disability claims. Most disability attorneys will be paid a fee only if they win your disability case. This fee to the attorney is paid only out of your past due benefits. If no past due benefits are awarded, the attorney will not receive a fee. This compensation model removes any incentive to help individuals with Social Security questions because there are generally no past due benefits owed. However, it won’t hurt to ask! Some of the brightest minds in Social Security benefits are the veteran Social Security disability attorneys. You may ask them if they will take your case on an hourly basis instead of the contingency fee they are accustomed to receiving. Financial planners are uniquely positioned to answer Social Security questions. And most can, as long as you stay at a basic level. But if it gets complex, most financial planners just simply do not understand the nuances of Social Security well enough to give good solid answers. The good news is, there are good financial planners out there that “get” Social Security. You just have to know how to sort through the unqualified planners to find them. Since there are no real Social Security credentials, the burden is on YOU to perform due diligence and sleuth your way to determining the planner’s expertise. How are you supposed to do that? You need to ask lots of questions! But before you get to the heavy questions, here is the one question that will help you narrow the field. If they offer this planning for no charge, do not proceed! It’s tempting, I know. But if they offer Social Security consulting for “free,” there will most likely be an investment pitch tied to it. Instead, they should be willing to help you with your situation on an hourly or flat fee basis. 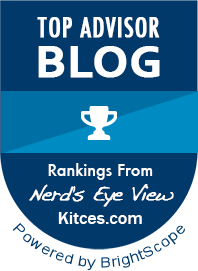 What rules changed with the 2015 budget act? It’s not necessarily important that you know the answers to these questions before you ask them. The main purpose of these screening questions is to gauge the planner’s comfort level with Social Security. These are VERY basic questions that any financial planner who dispenses Social Security advice will be comfortable and confident in answering immediately. There should be NO bumbling around or “let me check and call you back” answers on these simple questions. If they do, keep looking! I know, the last suggestion is self promotional. I don’t normally do that in my speaking or writing, but here’s why I did in this article. There’s a lot riding on you getting good answers to your Social Security questions. The amount of benefits you, or your survivor, will receive can often hinge on how much you know! So don’t let this complicated system get the best of you. If you search in long enough, you should find get the help you need. But if you can’t…schedule a call with me. For a small fee, I can help you obtain instant clarity and help you cut through the clutter and confusion. Don’t worry, there’s no sales pitch or product promotion. It’s just me answering your Social Security questions. It’s that simple. You can get started by clicking HERE.